Summer is finally on it's way and we all want to get Flip Flop Ready or at least I know I do. 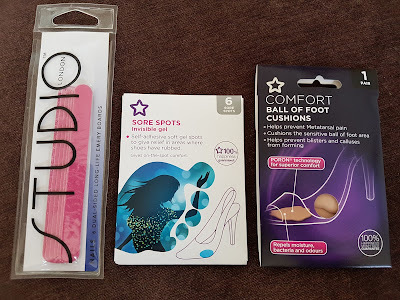 Superdrug has a huge range of products made to do just that and I've been lucky enough to receive a few of them in the post to try out this week. Superdrug has a fantastic range of foot care products from the Rapid Pedi to buff away that tough, dry Winter skin… to cracked heel repair creams which ensure your skin stays supple and smooth all year round! Summer's warm temperatures mean we tend to wear no shoes more often which can often end up picking up some unwanted bacteria in the form of Verruca's which can spread really easily. Superdrug has a remover, treatment plasters and a repair cream which would all come in very useful in the unfortunate events that you do pick one up around the pool. 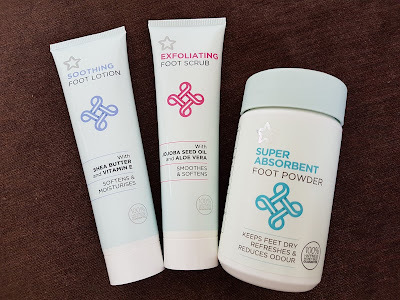 My two favourite products from the box were the Soothing Foot Lotion and the Exfoliating Foot Scrub. Both of which I will be using lots over the next few weeks. The soothing foot lotion is lovely, t's non greasy and soaks into your skin really quickly leaving you free to get on with other things. It leaves your skin feeling nice and soft and all fresh and summery. 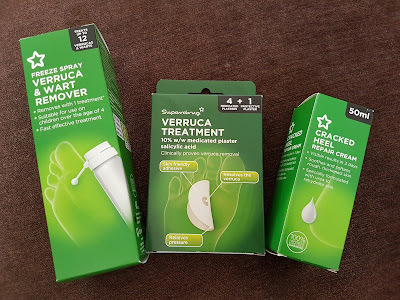 I do love a good skin exfoliation and this foot one is no different, it's a great way to get rid of the rough patches without any pain or uncomfortable scrubbing. I really liked both of these products. There's also a Super Absorbent Foot Powder which is great for after the bath. Last not least there was some useful Nail Files and some party shoe accessories. No one likes sore feet when they wear heels so these Sore Spot Invisible Gel patches and Ball of Foot Cushions were the perfect way to avoid that. I've used these cushions for many years now as I'm a bit of a light weight when it comes to wearing heels on a Girl's Night Out. 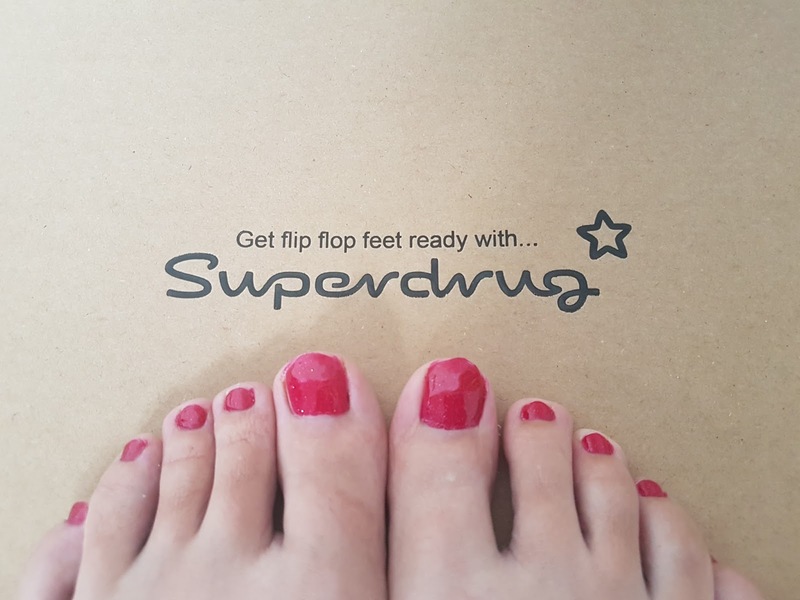 There's some really lovely products now at Superdrug to help get your feet Summer ready. With a little help, You'll be ready for those flip flops in no time! 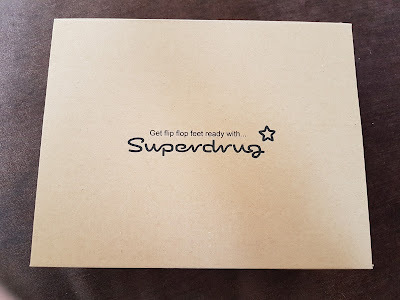 Disclosure: I received my Superdrug samples in return for an honest review.